Recently we’ve noticed an increase in esports fans betting on unlicensed (illegal) esports betting websites and we feel compelled to create more awareness about the risks of using them. In particular skins-betting & skins casino sites who, although they may look legitimate, often don’t have any licencing and are therefore illegal. This means they have no oversight, no obligation to be fair, no reason to protect your money, and if they shut down, no reason to return your money to you. These are all things you get with regulated esports betting sites such as our partner Rivalry.gg and others. We all hate cheats in the games we love, and actively work as a community to get rid of them, and the same thing should apply to rest of the esports ecosystem including betting. We want you to engage with your favourite games in a meaningful way, but it's important to do so with reliable operators who are bound by government bodies to protect you rather than only offering a sense of protection. Can you trust the betting site you are using? First, look in the footer of the site for a gambling licence. If they have none at all, this is an immediate red flag and you should take your business elsewhere. What licences should you look for? 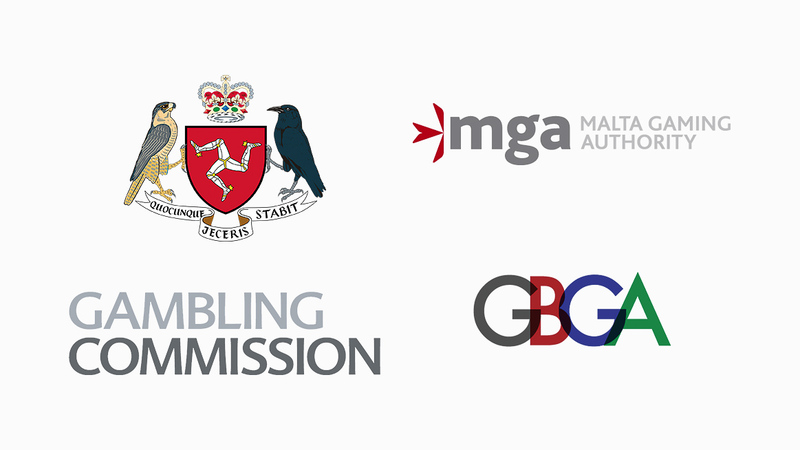 The Isle of Man, Malta, UK and Gibraltar are marks of a highly regulated sportbook (see below). Our partner Rivalry is licenced in the Isle of Man. You funds will always be protected. When you deposit $10 on a regulated site, they’re required to take that $10 (and a little extra) and put it in a separate bank account that they cannot touch. This account is overseen by the regulator. If for some reason that gambling site went out of business, your funds would be protected. You'd get your money back. A thorough due diligence process. This makes sure that the owners have no criminal records or other nonsense. Integrity in esports. Regulated sites have to ensure the matches they offer have integrity and if they offer casino games that it’s fair. This is why many regulated gambling sites work with the likes of ESIC. Match fixing and cheats harm this ecosystem, and regulated betting companies help make sure it does not happen. Know your customer and responsible gambling. It’s important a gambling site is sure you are of age and you visit from a country where it is legal to do so. By knowing this they can also most effectively implement responsible gambling practices to protect users. After seeing the industry grow in our fifteen years, we take seriously the responsibility of being one of the leading figures in esports and actively trying to better this community we love. We want our fans who are part of that community to work with us to ensure the continued success of esports. Betting with unregulated bad actors’ harms everyone, and we all need to stop supporting these sites and their owners. As well as working alongside Rivalry in educating esports fans on gambling, we will take it as our responsibility to always educate our players and internal staff on setting and example for everyone we represent.